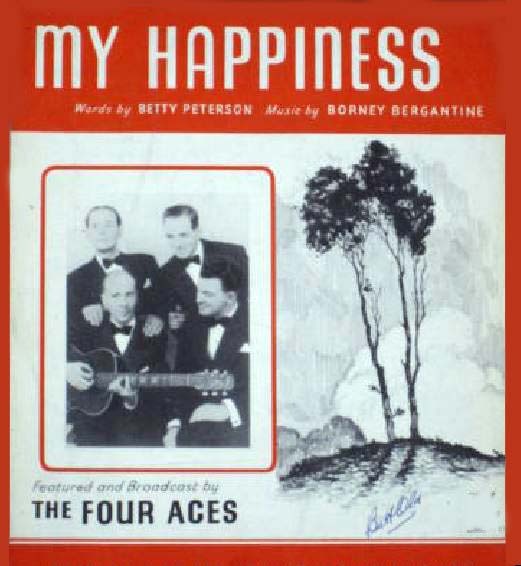 Number 2 on the Hit Parade in 1948, played for 18 weeks. Eve -ning shad -ows make me blue. When each wea -ry day is through. How I long to be with you, My Hap -pi -ness. Al -ways think -ing how I miss, My Hap -pi -ness. A mil -lion years it seems have gone by since we shared our dreams. But I'll hold you a -gain, there'll be no blue mem -o -ries then. Just as long as I'm with you. My Hap -pi -ness. ness.